Time for statutory Breathing Space? 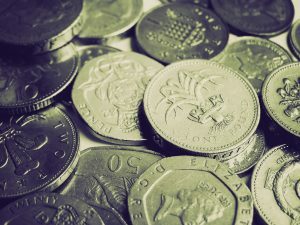 Meg van Rooyen considers the possibility of a scheme for England and Wales, along the lines of the Scottish Debt Arrangement Scheme, to provide a statutory breathing space for people with financial difficulties. This article is reproduced on Thoughts from the Trust with permission of Quarterly Account, the journal of the Institute of Money Advisers. Where people in debt ‘do the right thing’ by engaging with their creditors, make affordable offers of payment using the CFS or SFS, CASHflow, or a recognised equivalent and maintain regular payments, they should get protection from further enforcement. This currently does not take place unless people enter a formal debt remedy such as an IVA, administration order, debt relief order or bankruptcy. Even where a formal debt management plan is in place, there is no guarantee that creditors will accept the offers made or freeze interest and charges. There is no protection against any creditor who forms part of the plan from undermining its effectiveness by taking further action, typically by issuing a claim in the county court. The primary objective in providing a suitable remedy in relation to a temporary change in circumstances is to provide for a mandatory freeze on interest and charges and a moratorium on enforcement action. This would allow people time to seek support, source an appropriate debt option and most importantly prevent their situation from getting worse. The government’s response agreed that HM Treasury and the Insolvency Service would undertake an in-depth review by the end of 2015. We understand that government has been giving it some thought, and we are hopeful that the new government will renew the focus on this area, as part of the Life Chances agenda. We hope that this review will take a wider look at the debt options available and, in particular, whether a scheme that extended statutory breathing space could work, such as a modified version of the Scottish Debt Arrangement Scheme (DAS). This would assist people who need a temporary freeze on enforcement action, interest and charges by creditors to stabilise their financial situations as well as those who need more long-term protection similar to those under a DAS debt payment programme (DPP) to pay back their debts by way of a statutory scheme. DPPs approved under DAS allow individuals, couples or sole traders to repay their debts in full over an extended period of time. This provides protection from enforcement by their creditors and the safeguarding of their home as long as mortgage payments are maintained. An ‘approved’ money adviser has to make the application for the client. If the application is successful and payments are maintained, all interest and charges will be stopped from the date of the application and written off once the programme is completed. Creditors will not be able to use diligence (enforcement action) to enforce payment of the debts. The approved adviser can apply for an ‘intimation’ of an intention to apply for a DPP which is placed on the DAS register. This gives a breathing space of protection against any creditor action for six weeks whilst the full application is prepared. We would argue that this six weeks protection could be extended to six months or even a year (subject to review) to provide a temporary breathing space for people in England and Wales. Would it work in England and Wales? The Trust, alongside StepChange, Citizens Advice, AdviceUK and other free debt advice charities think that this is an idea which could work. Ideally, entry into the breathing space forbearance scheme would be granted by registration via a free debt advice provider. Breathing space then becomes part of the advice process so that all options are holistically explored and people move into an appropriate debt option as soon as practicable. Registration could take place through an online portal by the advice agency. We need to ensure that the 30 (plus 30) day breathing space to seek advice (under the Lending Code and CONC rules) is built into the system so that people can continue to be afforded protection from creditor action at an early stage. Should clients be able to register themselves as needing breathing space? Should all creditors be bound by statutory requirements of the scheme including local government and HMRC? What about ongoing bills such as council tax, utilities and telecoms? At what point would these types of debt be crystallised? How should creditors mark credit reference files once people are on the scheme? What happens if circumstances have not improved at the end of the breathing space forbearance period and no other suitable option has been identified? Should people be allowed to stay on the scheme if they can only make token payments? It would enable people to access a payment distribution mechanism that is currently not available to them. Since the Bankruptcy and Debt Advice (Scotland) Act 2014 (BADAS) came into force in April 2015, all statutory solutions must be accessed via an approved adviser using the common financial tool (currently the CFS). It might represent a challenge to implement such a comprehensive scheme in England and Wales, if we should want to do so. Whilst we hope this will happen, at the Money Advice Trust we have said for a long time that there should be a wider review of debt options to ensure that the right options are available. Last September we held a roundtable with others in the sector to discuss options, which highlighted that this is very much needed.  The Money Advice Service is also developing debt options research to look at this. Breathing space will not solve the intractable issues faced by people on deficit budgets. Nor will it solve the particular issues for people with no prospect of any available income long-term but who have equity – the ‘asset rich but cash poor’. That said, it would be a step forward and bridge some of the gaps in existing debt options.